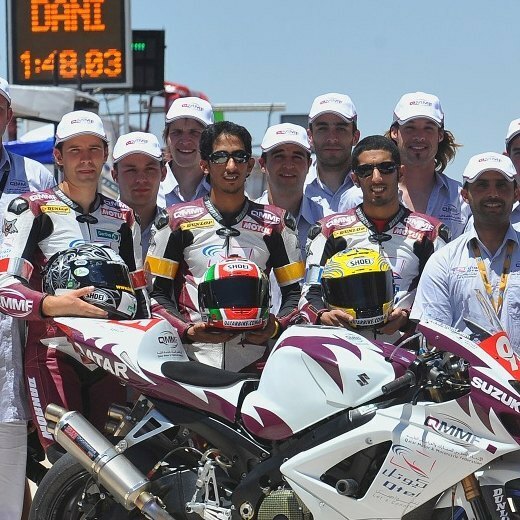 Home > Bahrain Superbike > BSBK > Mashel Al Naimi > Qatar Bike > Mashel Al Naimi dedicate BSBK R5 win to his friend Anthony Delhalle! Mashel Al Naimi took home a pair of wins from Bahrain to Qatar riding his legendary Ooredoo flagged 95 Ducati Panigale to a 5th time podium finish in Manama this season.Talking to our chief editor via phone Mashel took time to dedicate the round 5 win of the Bahrain Superbike Championship to his fallen friend and racer he describes as a passionate rider - Anthony Delhalle. An emotional moment for Qatari rider who lost his friend to accident falling from his bike during testing at Circuit Pail Armagnac near Nogaro on 9th March 2017. 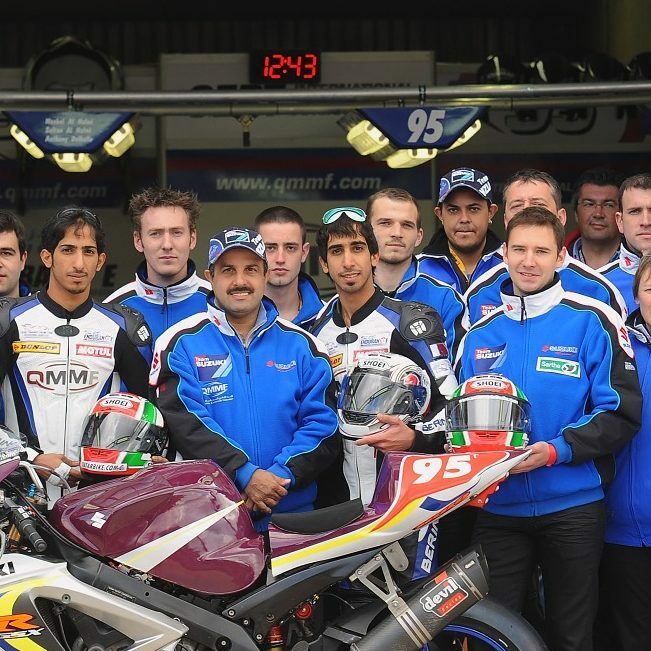 He also took time to send his message of condolence to the family and entire Superbike Championships. Mashel who learnt about his friend's tragedy on arrival in Manama Bahrain for Round 5 of Bahrain Superbike Championship described Anthony Delhalle as a good friend with a jovial heart and lover for bikes and sport. FIM CEV Superbike European Championship and Endurance FIM World Championship has lost legend and a sportsman.A figure we all looked up to! Al Naimi took both runs in Bahrain coming as qualifier number one to win both of the race one and two under the 2.55KM Oasis Circuit.In the second place was Ahmed Al Muyini from Kingdom of Saudi Arabia,who came as 3rd qualifier to beat Edward Spike for a second position in Race 2. 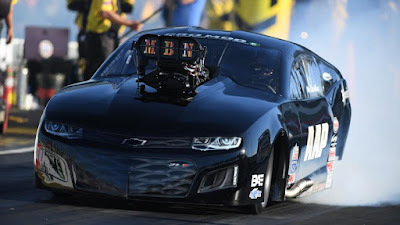 And to celebrate his 5th win in Bahrain,Mashel Al Naimi did a sweet wheelie registering an impossible a straight 5th win this season for the Qatari rider. Watch it here. 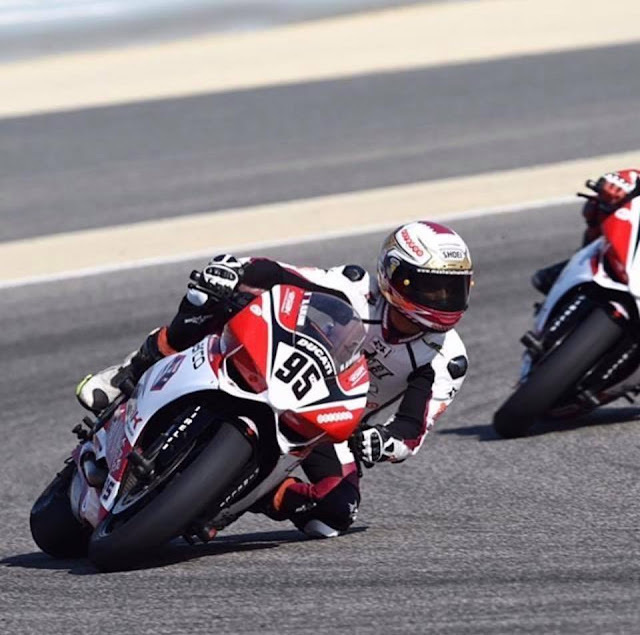 BSBK is organised by Moto Gulf Event supported by Bahrain International Circuit and Bahrain Motor Federation.The Championship takes the shape of an arrive and race where the contestants lease the bikes for the season using identical bike 899 Ducati Panigale. This sport is unique in is kind and the first of its kind in the region! Round 6 happens on the 21st April 2017 at Bahrain International Circuit.